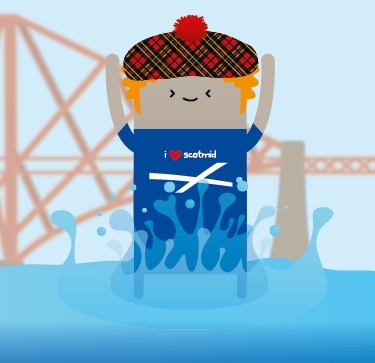 Scotmid Co-operative is delighted to be sponsoring the Loony Dook on New Year’s Day – the annual event that will see over a thousand people take a dip in the Firth of Forth at South Queensferry to raise money for charity. This year’s Loony Dook is the first official event of the Year of Homecoming Scotland 2014 celebrations. The day will start with a parade through South Queensferry featuring music and entertainment, as the ‘Dookers’ walk into the water under the shadow of the famous Forth Rail Bridge. Over 1,100 people from all over the world are expected to take part, many wearing fancy dress costumes. Spectators are welcome to come along to cheer the Dookers on from the beach and the many vantage points in the town. The Loony Dook was first started in 1987 and has raised tens of thousands of pounds for charities since it began.